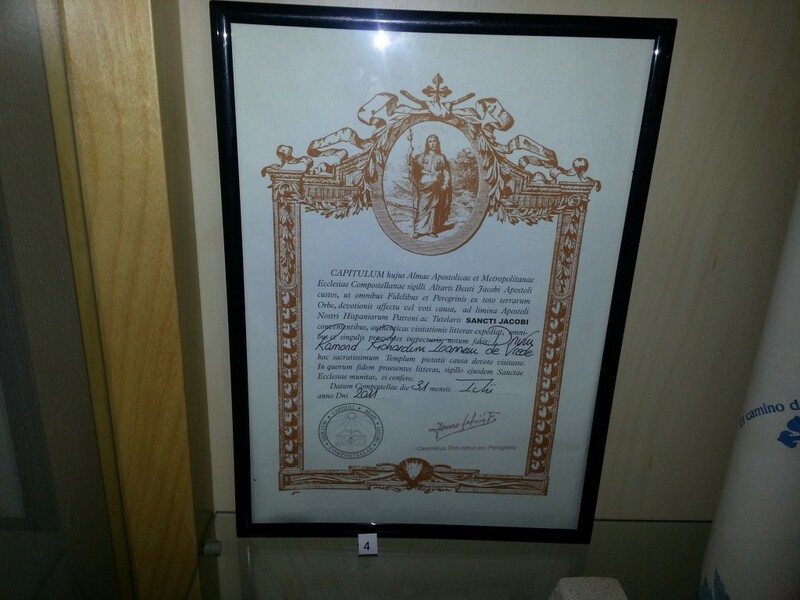 You get a certificate, the Compostela, when you walked at least 100KM. It’s a nice souvenir. But the pilgrimspassport is in my opinion more special because I walked more than 100KM (approx. 780KM) and you can see the progress per day where I’ve been sleeping or eating. You can get a stamp in hostals and restaurants/bar. The compostela is more an ending symbol.